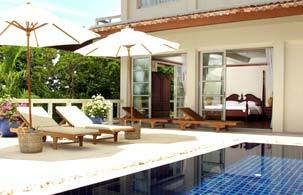 Phuket Paradise Homes exists to take all the time, effort and dramas out of finding the home of your dreams on the paradise island of Phuket. We are not affiliated to any developer or property agent and therefore we source exactly what you require so as when you arrive you are only viewing those properties that fit perfectly with your pre-advised requirements in term of size, location, price, views, quality etc. we are a totally unique service and work for you not the seller! Our office is located in the Plaza Del Mar, at the entrance to Laguna Phuket, drop by and see us anytime.